Students often hold homework responsible for the busy schedule that they regularly have. The current age does require children to invest time in multiple activities but homework cannot take a backseat amidst all the rush. The main culprit is not homework itself but the amount of time students consumes to finish them. The general tendency to procrastinate and remain distracted lower productivity and each assignment take longer than usual to finish. 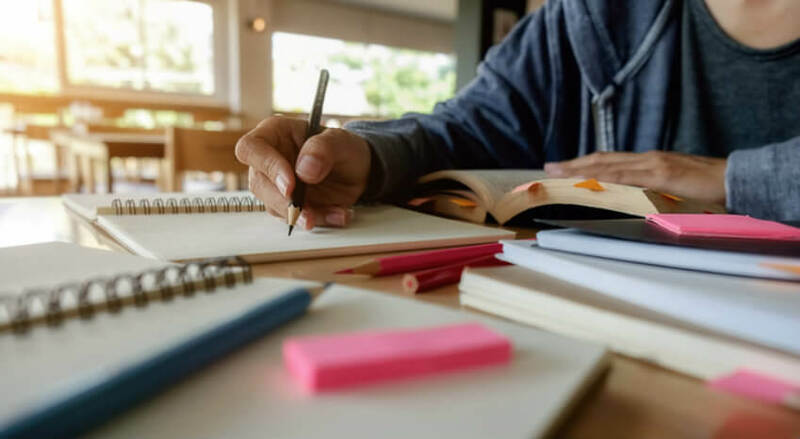 Here are 8 smart tips to finish your homework faster that will effectively turn your busy days into relaxing ones. Take note and never complain about academic pressure. The ambiance is crucial for your concentration. You can never get any work done sitting among a family gathering. Set up your workspace a silent corner and cut out all sources of distracting noises. The best schools in Sonepat have reading rooms in their library which serves as the perfect environment to finish your tasks. Use such available resources and complete your homework faster. The mind takes its time to switch among tasks and a lot of valuable minutes are wasted on multitasking. If you go out to get a snack while you are in the middle of an essay, you will require a lot of time to get back into the previous mental frame again. Complete the task at hand, take your snack break and then move on to the next. Gadgets can be a major source of distraction when you are doing your homework. Try not to use your phone even as a breather in between your task and learn to control your temptations. If you have to use it, do it before you sit with your assignment or get back after completion. Getting distracted in between will only kill your time. Be it your friends or a family member, announce that you are about to sit with your homework and declare your preference of being alone. Talk to them after you are through with your tasks. This way, you can maintain both your academic and social life without any compromise on either side and everything will exist in a perfect balance. Figuring out a problem all by yourself is always a good idea but there will be times when asking for help will save you time. Every teacher in the top school in Sonepat will readily guide you with your assignments in case you are stuck. You may not get the ready solution but the teachers can guide you in the right direction. This will make the process faster. If you have to search for a thing after writing each paragraph, your assignment can never follow an efficient route. Organize your desk and specify a particular spot for all your stationaries so that you know where to look when you need something. This will minimize the unnecessary but required time wastage and prevent you from feeling overwhelmed due to the clutter. You will remain on the clock and effectively meet deadlines. This will eliminate any last-minute rush as your entire schedule will be planned. If you do not have things jotted down, you tend to miss out on the bulk of task that you are required to do. You delay the inevitable and hence the pressure builds up. Having a timetable lets you find suitable slots for all your assignments and you always stay ahead of your deadline. Planning always helps you to manage time better. Working on your assignments late into the night do not speed up the process. Our minds naturally slow down after sundown and the more we extend a day, the more our work tends to lag. Build a habit of getting up early in the morning and sitting with your homework then. A fresh mind will maintain your productivity at high levels and help you to finish your tasks faster. Swarnprastha, the best school in Sonepat, is one institute that encourages its students to complete their homework in minimum time. The campus has facilities that allow students to finish their tasks before they leave for home and enable them to invest the saved time in other productive activities. So, make use of the right resources, develop a certain level of self-discipline and eliminate all forms of time wastage. Half your academic burden will be taken off if you learn to finish your homework faster.